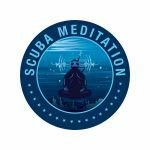 Deep meditation underwater Dive Master offers an integrated holistic concept combining harmony breathing, meditation, yoga and Ayurveda, with scuba diving. This program designed and managed by leading wellness and diving experts is rapidly gaining the attention by the world’s leading certification and licensing authorities and becoming the “Gold Standard” standard in the world of scuba diving practices and safety by which others will be measured. The Oceanic world is ideally suited to physical, mental and emotional therapy. Like the way of the waters, I flow with life, dive deep and reconnect when I need to. Like the ways of the earth, I find balance between grounding and letting go, they both infuse every aspect of my life. The Meditation Diver course is suitable for any open water certified diver. The dive techniques can be adapted to suit any level of flexibility and fitness. If you can dive, then you can do the Meditation underwater master course! Not a Certified Diver? No problem! Let’s get you certified! Contact us to book your PADI Open Water Scuba course. The Meditation Diver Course can be offer along side your initial certification. If you have never dived before, but would like to try it first before committing to a course, try the one day PADI Discover Scuba experience. In order to experience meditation, we must anchor ourselves to the present moment by focusing on one point for an extended period. Meditation does not always need to be practiced while sitting on the floor in a cross-legged position. Walking Meditation, Laughter Meditation, Water Meditation, Life Meditation and other deeper spiritual experiences, can open you to a new perspective on meditation and encourage you to carry your practice off the mat and into your everyday activities.